Hi-Fun Gloves are the World's Silliest Bluetooth Handsets in Existence | OhGizmo! If you’re looking for an alternative to the Bluetooth headset, then move along because you won’t find one here. 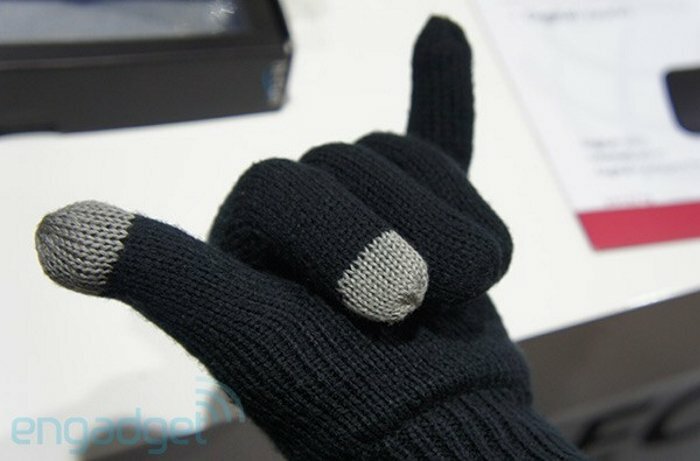 The Hi-Fun Gloves are Bluetooth-enabled themselves, but they aren’t exactly hands-free for the reason that you’re supposed to wear them on your hands and make the ‘call me’ gesture while you’re using it. It basically has a speaker sown into the thumb and a microphone built into the pinky finger of the glove. Just push the appropriate buttons on the back of the glove to hook it up with your phone and begin taking calls in the weirdest way possible. These literal ‘handsets’ will be available for about $60 starting this October. While it’s novel and will definitely keep your digits warm and toasty during winter, I’m just not sold on the idea. What do you think? Great novelty but completely defeatist.I would get some but can’t really justify why.